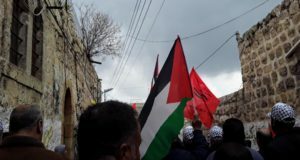 At around 10:30 p.m., a group of Israeli settlers from the nearby illegal settlement of Ma’ale Levona arrived in Khan Al Luban, a Palestinian hamlet located in the vicinity of Al Luban village. Armed with guns and wooden sticks, the settlers broke into a house owned by Khalid al-Hamed Daraghmah. 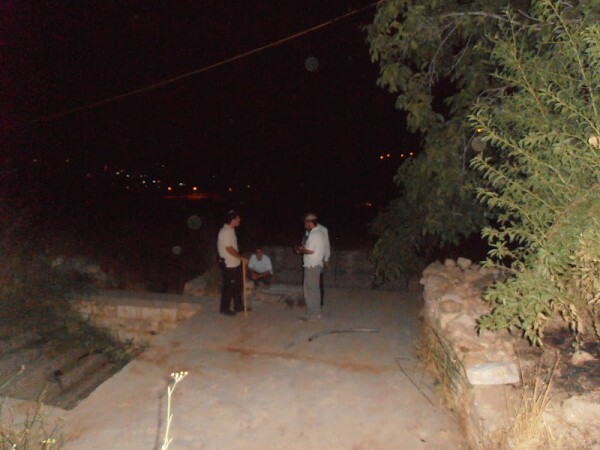 Israeli settlers armed with guns and sticks on the land of Khalid al-Hamed Daraghmah. The owner Khalid Daraghmah was alerted by his dogs when the 6 armed settlers arrived by car. Khalid went out and asked the intruders to leave his property. 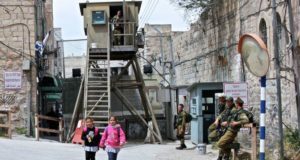 The settlers refused claiming that, “this is not private property, but property of the state of Israel.” The settlers forcefully entered his house, going into every room, shouting and kicking household objects. About half an hour after the settlers’ arrival, a white jeep arrived at full speed. Two Israeli soldiers ran out of the car and headed aggressively towards Khalid. 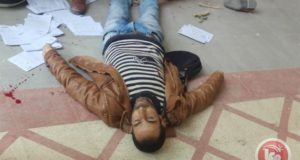 The soldiers grabbed Khalid, shouting, and pushed him violently into a room of the house. The international activists tried to enter the room but were prevented by the soldiers. Some 20 minutes later, another car arrived carrying 4 soldiers as well as 2 Israeli police cars carrying 4 policemen. The soldiers interrogated Khalid and the police spoke to the settlers who claimed to have been attacked by Khalid. The soldiers scoured the house, ‘looking for weapons’. They entered all the rooms of Khalid’s house which have been emptied since a previous settler attack. After finding nothing at about 1:00 a.m., the police, soldiers, and settlers left. Alex Marley is a volunteer with the International Solidarity Movement (name has been changed).